What is the number one, most important thing that you should keep in mind when building games? This is something that I have learned over the years in steps and pieces. I learned a little bit from my development side when I would build technology for companies. I learned a little bit from the marketing side of trying to entice people to purchase things and try to get them to understand the path. I learned a little bit of it from watching people play my games in some of the game jams and competitions that I’ve entered. And it really has helped my games tremendously. It has improved my games in a lot of different ways that I never thought was possible. And what it is, is THE EXPERIENCE. Now, there is an entire industry called User Experience and there are thousands and thousands of principles on how to improve different experiences, but let me break down exactly what I mean by the experience in a game. When I first started in game development, I would start with a cool little mechanic or an art style, or this idea for a story that I had. That’s what I would start with when building. And that works well enough for prototypes, right? You just want to see if this mechanic works, or this thing is fun, or this jump works, or whatever. That can work. When you start building the game, understanding the core experience that the player will go through is VERY CRITICAL. 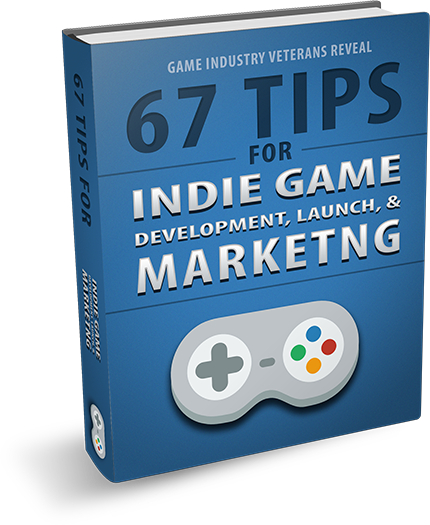 Now, many people, especially if they have a longer build time for their game, work on the engine, the mechanics, or the vertical slice—like the actual gameplay, or the content, or whatever. He’s going to go do this…etc. Understanding that whole process dramatically increases your ability to make a great game and skills as a developer. Many developers overlook this part of the process. What many people don’t realize is most people won’t finish a game. Finishing games is actually very rare. A lot of people don’t finish the games they start, that’s just the society we live in, and there are stats for that, you can look that up on Google. So that first segment of your game is the most important part of the entire game. That first scene is what most people are going to see. That is going to be the thing that either keeps them going or makes them quit right there. You have to understand that. If that part is frustrating, they’re going to quit. The negative experience of the player upon entering a game that’s hard to figure out can be very frustrating; sometimes they might not even get to play the game. You have to understand the process. So I used the opening scene of a game as an example, because I think it’s the most important part of the game. But how you make a great beginning to a game depends on your understanding the experience that the player has. I worked a lot in software development, building a lot of software. And the philosophy of software is that you want to decrease the amount of work it takes for a user to get anywhere in the application. For example, we had something called a three-click rule, in which there should be nothing in the menu that would require three clicks to get to. That was important for software because the whole point of software is to reduce the amount of work that someone has to do in order to take care of a task. Games are different beasts. Sometimes you artificially add barriers, issues, or things that take them a long time to accomplish for the experience of the game. And if you are not aware of that entire experience from beginning to end, you can get really lost in adding thing. Because, on one hand you need to make something that’s extremely simple, extremely user friendly, and very easy for the user to navigate. But on the other hand, the entire idea of a game is just a series of goals, obstacles, and barriers. That’s all. For example, “Okay, at this point the players know the objective is this, but they see the boss in front of them, they know they have to kill the boss, before they get to the door where the key is.” If they don’t know they need the key, that whole boss fight can seem meaningless. Understanding that whole process, the player’s experience, the emotion you want them to feel, the thing that you want them to want, and the objective that you place in front of them—understanding all of that, and understanding that every element of your game tells a story. If the stories are inconsistent, the experience can be bad for your players. There was one game jam, specifically, that I remember clearly. We built this top-down shadow game—and I say shadow game but essentially top down. It was a dark room, you had a flashlight and you were searching around the room. There was a ghost monster randomly going around the room. And if he found you, he would chase you, and you would see his footsteps but you wouldn’t see him. There would be a loud roar and you had to find these three key codes to get out of the door before this monster could catch you. This game was done for a horror game jam for Halloween, and our team had the best game out of everyone else’s. That’s not even ego speaking. This game looked amazing, it felt amazing, it played amazingly, but we didn’t have any time to test it. It was just us testing the game before the actual reveal, before people would play the game. And this was an “in person” game jam so everybody would play all the games and stuff. The thing that we learned, when everyone started playing each other’s game, and they tried our game, was that they had no clue what to do. They didn’t know there was a monster and key codes. And when they found the key codes, they didn’t know what to do with them. It was just a disaster! We DID NOT get first place in the game jam, even though we had the best damn game, specifically because we didn’t think through the experience. Had we thought through the experience, even though we were pressed for time, there would have been a single little screen that says, “The ghost is after you, run from it, find the three pieces of the key codes to get out the escape door.” That’s what it would’ve said. If that little feature had been in the beginning of the game, and then they had played through the game, everything would have been significantly better. The game would have played so much better, people would have understood it, and everything would have worked better. We probably would have won FIRST PLACE, and it would have been awesome! But that didn’t happen because we didn’t think through the experience. All we thought about was the game and the core mechanics. So that’s my message for you. When you’re making a game, make sure you think all the way through the pipeline, make sure you really understand the user experience, make sure you start with that emotion, that feeling, and that idea that you want to convey. Just think through what the player is going to feel, what the player is going to experience, and really plan that out as the core part of your game, and then build mechanics, and art, and all that stuff on top of that because that’s a better way to make a game. If you have any thoughts on this, please leave a comment below. Previous story What kind of game should I make?